YANGON—Since January, residents of Namjim Village northwest of the Kachin State capital Myitkyina have witnessed a number of Chinese workers bustling around the area. Around 10 kilometers from the village, just across the Namkoi River, Chinese workers have been conducting a ground survey for a project site. The road connecting Namjim Village to the project site is very rocky and at some points extremely narrow. The location of this project is not near the China-Myanmar border where Chinese investors usually prefer to carry out their investment projects. 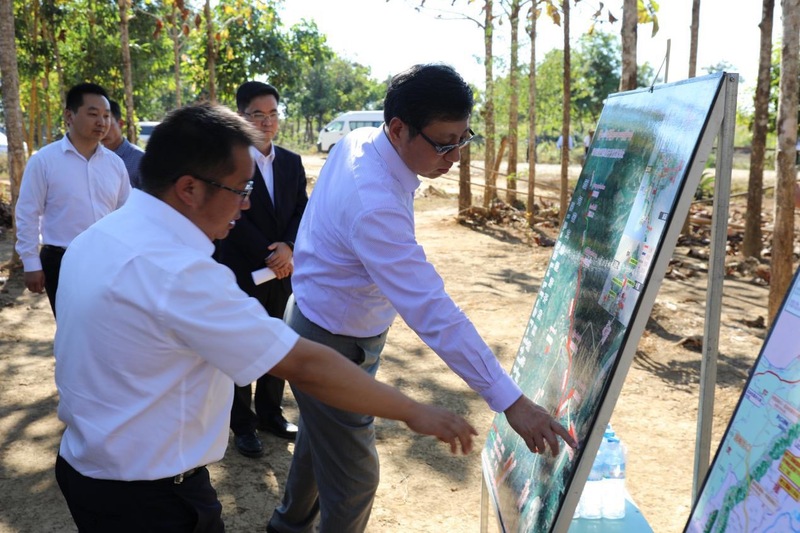 Now, however, a Chinese company has announced grand plans to build the massive Myitkyina Economic Development Zone (MEDZ) on approximately 4,700 acres of land along the historic Ledo Road. The Ledo Road was built during World War II to enable the Western allies to deliver supplies to China and thus aid the war effort against Japanese forces. It was an overland connection between Ledo in India’s Assam and Kunming in China’s Yunnan Province. Experts say China has chosen the area strategically, with an ultimate aim to link it with India as part of its Belt and Road Initiative. The Yunnan Tengchong Heng Yong Investment Company (YTHIC) and the Myitkyina Economic Development Zone Committee (MEDZC), formed by Kachin State government, are expected to invest a combined total of more than US$400 million in the MEDZ which is to include nearly 500 factories and 5,000 buildings at the project site located 25 kilometers from Myitkyina. Currently, Kachin State is home to a number of China-backed investments ranging from hydropower to mining to agriculture. 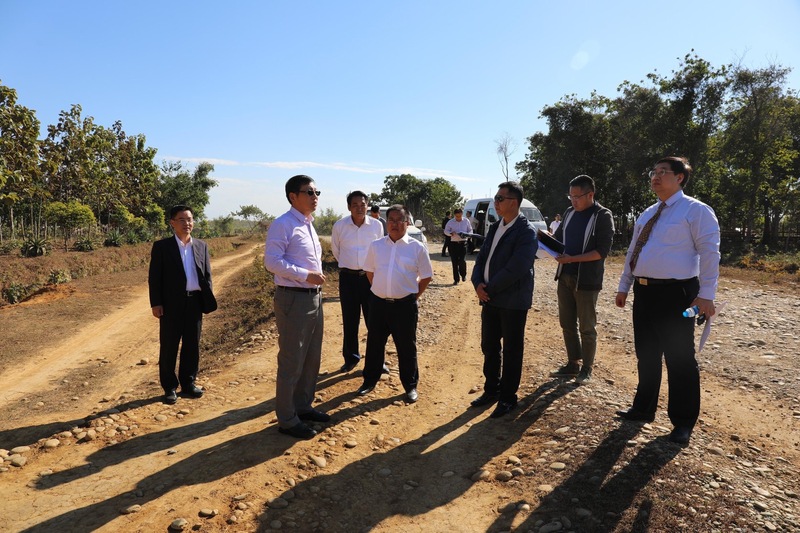 But the MEDZ was one of the lesser-known China-backed projects to be planned for the state—that was until Chinese Ambassador to Myanmar Hong Liang’s visit to the site area in late December 2018. The Chinese ambassador said the economic zone will be a crucial part of China’s ambitious Belt and Road Initiative (BRI) which is being implemented under the China-Myanmar Economic Corridor agreement. The initiative is President Xi’s grand vision to create a network of trade routes from China to Europe passing through Central Asia, the Middle East and Russia. Unveiled in 2013, the BRI aims to ultimately encompass nearly 70 countries and two-thirds of the world’s population. As well as the MEDZ, both Myanmar and China have planned to construct another $5-million “economic cooperation zone” as part of the BRI plan in Kanpiketi, a town in Kachin State’s Special Region 1, which is under the control of a militia group called the New Democratic Army-Kachin. The MEDZ investors signed a memorandum of understanding (MoU) in May 2018. The Chinese company, YTHYIC, is owned by the Yunnan Baoshan Hengyi Group and Tengchong Border Economic Cooperation Zone, a company based in Baoshan, Yunnan. The former’s company chairperson met several ministers in Naypyitaw last year to discuss the construction of the economic development zone in detail. According to the MoU viewed by the Irrawaddy, both sides will collaborate to draw up a master plan, to calculate the estimate cost, rules and regulations, the share ratio and other framework details based on the project investment procedures. Moreover, YTHIC and the state government have agreed to establish a joint venture company to implement the zone —a collaboration between YTHIC and the government-affiliated company. Both sides also agreed that YTHIC would cover expenses such as feasibility studies and the environmental impact assessment (EIA). Later, the joint venture company must pay back all expenses to the YTHIC. According to the agreement, the joint venture company will obtain a 50-year lease for the land and the government must transfer the land rights within 90 days of the company’s formation. The MoU outlines the responsibilities of the Kachin government, such as the forming of one-stop service facility and related investment organizations for the MEDZ. It is also tasked with getting project permissions from various government departments, following tax procedures and applying for relevant tax exemptions as outlined in the local investment law. Both sides agreed not to disclose information concerning the project to third parties. The MoU says the Chinese company has full authority to invite third-party investors and that the Kachin State government will not allow any other similar project near Myitkyina during the project’s 15-year implementation period. Kachin Minister U Khet Aung told The Irrawaddy that both sides are currently drawing up the framework agreement for the formation of the joint venture company. “The framework agreement is vital for forming a joint venture company. Both sides are also working on the master plan and feasibility study,” he said. U Khet Aung declined to comment on whether the government has chosen a government-affiliated company to form the company in conjunction with the Chinese company. He also didn’t reveal when it will be announced officially. The Kachin government has proposed for the 15-year implementation period to be reduced to 10 years, while the Chinese company has called for an 80 percent share of the ownership with the Kachin government joint venture company taking the remaining 20 percent. However, according to Kachin State’s chief minister, as discussions on forming a joint venture company are still ongoing, specific details on the project cannot be revealed yet. According to the minister, they will apply for permission from the Myanmar Investment Commission (MIC) after the master plan is approved by the joint venture company. When The Irrawaddy visited the project area in the first week of April and spoke to locals, they said they don’t know specific information about the project or who the land owners in the project area are. U Zaw Lwin, a Namjim Village ward administrator, told The Irrawaddy that he also has no information about the project. Yet, he was ordered to deploy police for the security of the Chinese land surveyors’ security. “The order came from above,” he said, referring to the state government. As more and more Chinese staff are coming into the project area which is being marked out by the surveyors, concerns are rising among locals—especially the owners of land which lies within the project area. The Irrawaddy learnt that though no one lives in the project area, it has long been planted with crops, rubber trees and other medicinal plants. While a handful of people do have official documents to prove their rights to the land, a majority do not have ownership certificates for land they have been cultivating for generations. “Chinese company workers have been clearing out some areas of the site without [consulting] the owners. They entered our land to measure it without asking us,” U Khun Myat Min Aung, told The Irrawaddy. He is the owner of six acres of land in the project area. Land-grabbing is one the major issues in Kachin State, especially in Waimaw Township across the river from Myitkyina where there is a proliferation of Chinese-operated banana plantations. According to the Kachin State parliament speaker, the parliament’s complaints committee received 345 complaints from locals since the NLD took office in the state and 179 of the complaints were over land-grabbing. Recently, a group of landowners formed a committee in order to negotiate with officials over a particular 650 acres of land in the project area which was originally given by the government to practitioners of traditional medicine for growing medicinal plants. Last year, the state government agreed to give the official rights to farm the land to the famers in those areas. However, though officers have carried out land surveys, the famers haven’t been given the official documents. “After the project MoU was signed, the local administration department said they would no longer give us the farmland tenure,” said U Khun Myat Min Aung. “The local officer said we are just trespassers. The project will be implemented in that area, so we have to leave the land,” he said. Despite landowners sending several letters to officials and expressing their concerns, they have not received any replies of information on how the government will handle the compensation process and local resentment towards the project. U Khun Myat Min Aung has personally sent five request letters to the chief minister and related government departments. His request is for his land not to be included in the project area or for him to be adequately compensated. “They haven’t replied to my request at all,” he said. Despite the president’s warning, local residents said the government is still silent about further decisions on the project. “We officially sent three letters to the chief minister, but we didn’t receive any reply from him,” said U Gannes Basnez. Lu Ra’s late sister and brother-in-law owned about 8 acres of land in the project areas. “Both died two years ago leaving two children,” she said. “We can’t ask them to stop the project, but the children deserve to get compensation,” she added. Kachin State Lawmaker U Khin Maung Myint said even local lawmakers have little knowledge about the project. “The agreement was made among a handful of people. It’s no wonder that the agreement doesn’t represent all local people,” said U Khin Maung Myint. Chief Minister U Khet Aung told The Irrawaddy of his hopes for over 5,000 jobs to be created for locals through the project. However, he refused to comment about the land rights issues, saying that they will be handled by the related departments of the state government. He pointed out that Chinese companies operating the controversial banana plantations in Kachin State tend to only employ Chinese workers in supervisor positions and even as truck drivers. Across Kachin State, negative sentiment has been mounting over Chinese projects following Beijing’s recent efforts to revive the controversial Myitsone hydropower dam project. In response to a statement released by the Chinese embassy in Yangon on Jan. 13 claiming that Kachin people are not opposed the dam project, three prominent Kachin parties issued a statement the following day, officially calling for the dam project to be cancelled permanently. The statement also said that all industrial projects in the state should not be implemented until peace prevails there. Gumgrawng Awng Hkam, president of the Kachin Democratic Party, said that an alliance of Kachin parties will oppose the MEDZ if there is no transparency and if it is not supported by the local residents. Recently, the landowner’s committee met with the alliance of parties to request Kachin politicians to mediate during the negotiation process with government officials. Moreover, the committee also met with a lawyers’ association based in Myitkyina for their assistance in legal issues. U Khun Myat Min Aung said the committee plans to send an official request letter for a meeting with the Kachin chief minister at the end of April. “We already tried many times through official channels. If it doesn’t work [this time], we have to go out into the street,” he said.